Death, the word itself is alarming enough to scare someone, but there are a few exceptions everywhere. For many, death is a loss of their loved ones while for a selected few it hardly matters because what they care about is only themselves. If seeing someone die is so painful then why killing someone can be a pleasure? This question remains unanswered, however the probable answers can be money, power, revenge, etc., but can mental disorder be a reason? 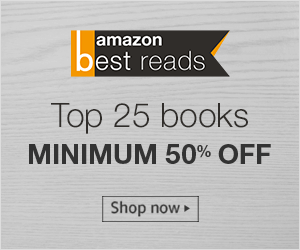 Raakshas - India's No.1 Serial Killer is a book by author Piyush Jha, who has previously written books like Mumbaistan, Compass Box Killer and Anti-Social Network. All of these books have been known for their unconventional topics. 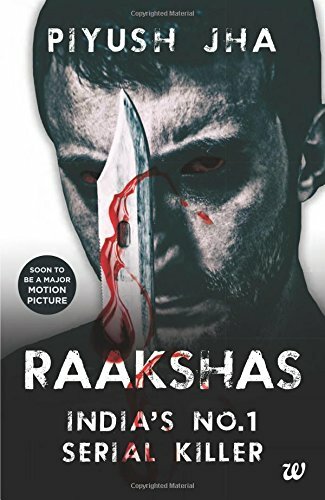 Raakshas - India's No.1 Serial Killer as the name suggests, is about the life of a serial killer which is not restricted only to the killings that he has done. The story has two main characters, Mundi-Cut Killer aka the serial killer and Maithili Prasad, Additional Commissioner of Police who is bestowed with the responsibility of catching the serial killer and bringing peace back in the city. The overall narration of the book is nice; the story of both the characters, chapter wise, runs parallel until they come across each other as criminal and cop. The narration starts from the birth of the future serial killer, whose entire childhood is full of sufferings and is responsible for the death of his mother, father, his aunt who was the only person who loved him irrespective of the hatred he received from everyone, and numerous other people associated with him before he finally claims to become the No.1 Serial Killer of India. On the other hand, Maithili's story starts from her birth to her upbringing and the incidental deaths that happen because of her, though these deaths rather murders weren't her intention and to unburden her conscience of being responsible for the deaths she decides to join the Police and put criminals behind the bar. When they both come across as the cop and the criminal, the cop has a hard time getting hold of the criminal while the criminal gets better with the killings every single time and all the required drama in between involving the media outburst and the resignation of the cop. The criminal tries to attack the cop when off duty because she was on his kill list too. In the end, it is the cop who turns victorious when the criminal enters her house in disguise of someone and the cop makes her move. The story is fast paced with two perspectives initially, but gradually it becomes one, the cop's version. There is suspense, there is aggression, there are emotions, there is love and yet there are killings. There is clash of egos, there is display of will to overpower the other, there are challenges, there is cruelty yet there is sympathy. Piyush Jha has written an extremely visually engaging book. I am sure that a good amount of research would have been put in to write this book, as it talks about the mental state of these serial killers and what makes them one. The story will make you empathize with the serial killer, however, it shows the Forensics in bad light, I am not sure how true would that be but the writer can do so as it is completely fictional. The only part that I didn't like or rather seemed like the writer wanted to end the story was using a character called Ruzbeh who in turn is used by the serial killer to succeed in his plan of killing the cop. The cover of the book looked very interesting and had already raised up the expectations from the fiction crime thriller, and the book somewhat lives up to it. Another interesting thing about the book is the additional bonus section at the end with stories about real life, not so popular serial killers of India like Amardeep Sada (India's youngest serial killer), Mohan Kumar (Cyanide Mohan), Chandrakant Jha (The Body Parts Killer), Devendra Sharma (The Taxi Killer), etc. Also, it will soon be a major motion picture and I could visualize Ranbir Kapoor as the serial killer because of the way the character is described and Priyanka Chopra as the cop Maithili Prasad because I found her impressive in the recently released Gangaajal. If I was suppose the rate the book out of 5, I would rate it 3.5 and I recommend this book to anyone who is interested in reading crime fiction.